1. Have a bowl of cool water ready. 2. Cut the Pomegranate into quarters. 3. 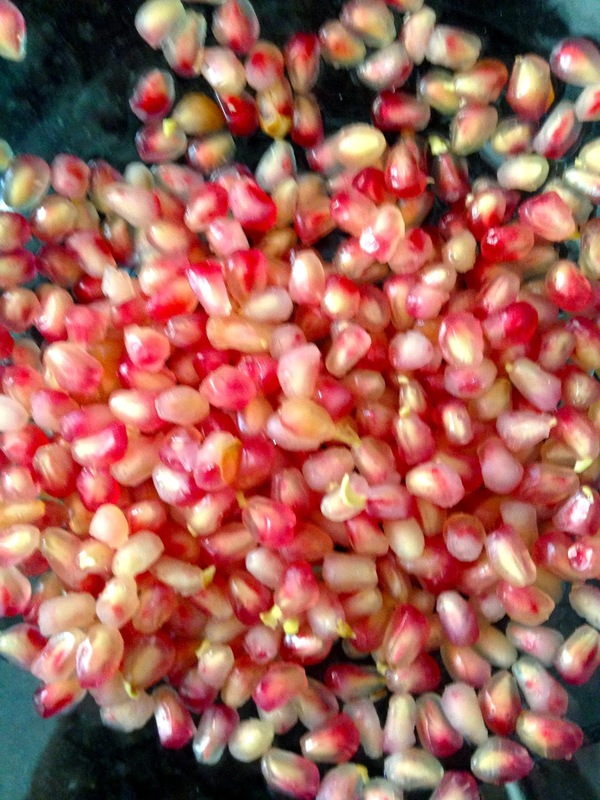 With the pomegranate either in the water or over the water, chip away at the seeds, bend the peel backwards to release the seeds. 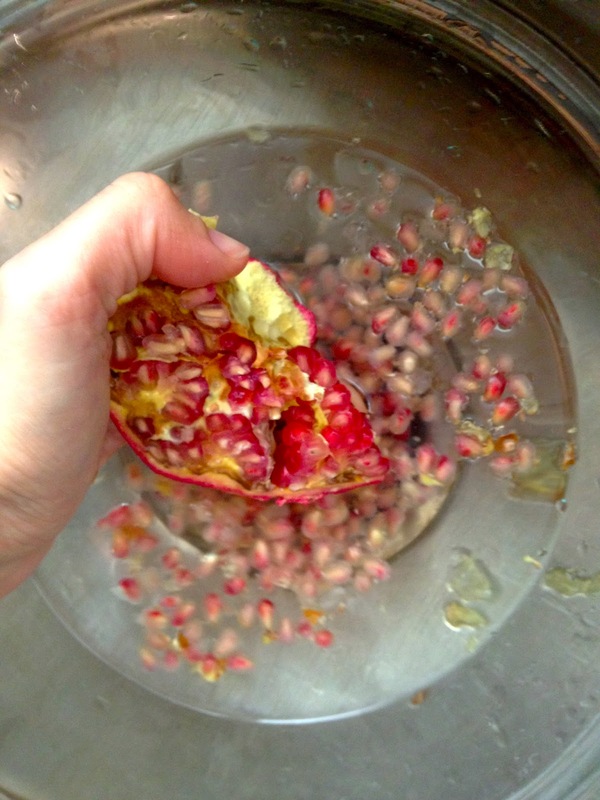 You could also smack the back of the pomegranate with a wooden spoon over the bowl of water to release the seeds. 4. Let the pomegranates sit for a minute. The seeds will separate from the hulls. The hulls will rise and most of the pomegranates will sink. 5. Pour off the water and hulls until there are no hulls left. 6. 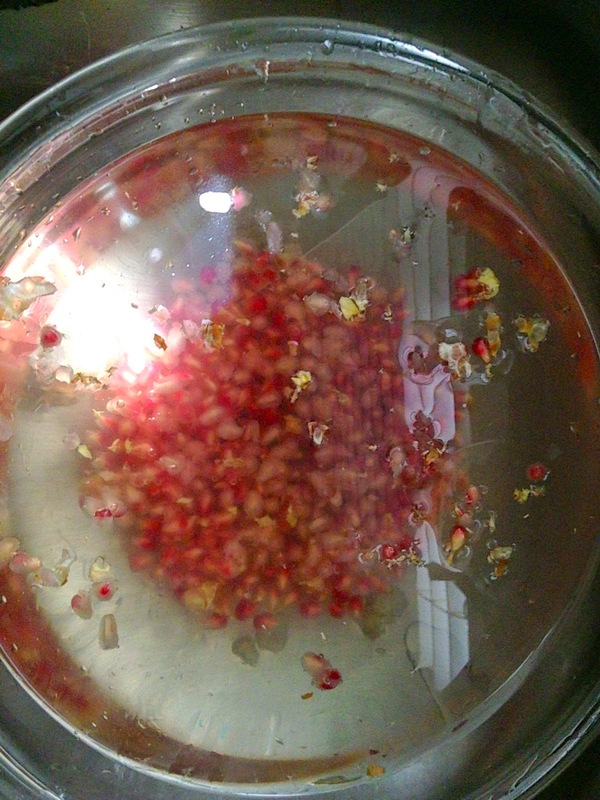 Rinse pomegranate seeds again.